This article was produced in partnership between the The Washington Post and the Investigative Reporting Workshop, where Orion Donovan-Smith is a graduate researcher and an American University student. Update: Liberians gain last-minute extension. MAPLE GROVE, Minn. — Magdalene Menyongar’s day starts with a 5:30 a.m. conference call with women from her church. They pray together as Menyongar makes breakfast and drives to work, reflecting on everything they are thankful for. But lately, the prayers have turned to matters of politics and immigration. They pray with increasing urgency for Congress or President Trump to act before Menyongar, 48, faces deportation to her native Liberia, where she fled civil war nearly 25 years ago. In less than six weeks, the order that has allowed her and more than 800 other immigrants from the former American colony in West Africa to live in the United States for decades will end, the result of Trump’s decision last year to terminate a program that every other president since George H.W. Bush supported. Come March 31, Menyongar will face a choice: Return to Liberia and leave behind her 17-year-old daughter, an American citizen, or stay in the United States, losing her work authorization and becoming an undocumented immigrant. Menyongar is among thousands of Liberian immigrants who were given temporary permission to stay in the United States in 1999, when President Bill Clinton implemented “deferred enforced departure.” DED was routinely extended by previous administrations but is set to end under Trump’s effort to terminate programs for immigrants without permanent status, which also has endangered Deferred Action for Childhood Arrivals and temporary protected status for immigrants from 10 other countries. Temporary protected status, or TPS, was established by Congress in 1990 for citizens of countries suffering from war, environmental disaster, health epidemics or other unsafe conditions. They are given temporary permission to work in the United States and travel abroad without fear of deportation. A class-action lawsuit filed Feb. 12 in a federal court in California seeks to block the Trump administration from ending TPS for immigrants from Honduras and Nepal. In October, a federal judge in the same court issued an injunction that stalled the end of TPS for citizens of four other countries. But that court action does not apply to the smaller and lesser-known DED program, which operates purely at the president’s discretion and gives no statutory basis on which to sue. Without a change of heart from the president — or new legislation from Congress — Liberians living in the United States under DED will lose their work authorization and become subject to deportation. Instead of self-deporting, many are expected to stay in the United States in hopes of getting a hearing in immigration courts, a process that could take years. But critics say his move to end protection for Liberians, leaving them undocumented after decades in the country legally, reflects an immigration policy that is capricious and, at worst, driven by racial bias. Last week, a group of DED holders from Minnesota traveled to Washington to lobby representatives, and Democrats have responded with legislative efforts. Rep. Dean Phillips, a freshman Democrat who represents Menyongar’s Minnesota district, pushed unsuccessfully for a DED provision to be included in the spending bill Trump signed. In addition, Sen. Jack Reed (D-R.I.) reintroduced a narrow bill he has pushed in every session of Congress since 1999 to offer Liberians with DED a chance to apply for permanent residency. A spokesman for Rep. Nydia M. Velázquez told The Washington Post the New York Democrat is working to include similar provisions in a broader immigration bill to be unveiled in the coming weeks. Opponents of the programs say they have outlasted their original intent, to provide temporary protection, and represent a misuse of executive authority. Like many Liberians who fled their country’s back-to-back civil wars between 1989 and 2003, Menyongar applied for asylum when she arrived in America in 1994. Her request was denied when she was unable to reach relatives in Liberia to get proof of her family ties to a politician there, whose prominence she feared would make her a target should she return. She was able to remain in the United States under TPS until 1999, when the program expired for Liberians and DED was created to extend protection to about 10,000 people at the time. Liberians don’t have to register with the federal government to qualify for DED, so there’s no reliable count of how many people depend on the program. But as of March 2018, approximately 840 had work authorization under DED, according to U.S. Citizenship and Immigration Services. Liberians must have lived in the United States continuously since 2002 or earlier to qualify. Most of the original DED beneficiaries have since left the country, died or gained permanent status, Murray said. She estimates as many as “a few thousand” may remain in the country but have not renewed their optional work permits, which cost a total of $495 in annual fees. Permanent residency can come through political asylum, marriage to a U.S. citizen, family ties or an employer’s sponsorship. Menyongar’s husband, also a Liberian immigrant, died in 2011. Her attorney has advised that her surest option for a green card would be sponsorship by their daughter, Gabby Gworlekaju — something the teenager can’t provide until she is 21. Gabby’s primary focus these days is preparing for college, possibly in Atlanta to be close to her father’s family and escape the frigid Midwest winters. She said she didn’t understand that her mother could have to leave until last March, when Trump declared a one-year “wind-down period” for DED. She has told her best friend how worried she is about the situation but avoids talking about it otherwise. Minnesota is home to the nation’s largest Liberian community, concentrated in the northwestern suburbs of Minneapolis. A few times each week, Menyongar makes a 20-minute drive to Bethel Robbinsdale — one of several Liberian churches in the Twin Cities area — where she serves as president of the women’s ministry. After communion during a recent Sunday service, the band and choir struck up a euphoric tune while Menyongar joined the congregation in dancing through the pews. Dressed in a brightly colored jumpsuit and a turquoise head wrap, she exchanged handshakes and hugs along the way. At one point during the two-hour service, the worship paused so a church member could announce an upcoming rally at the state capitol to raise the alarm about the end of DED. Later, Pastor Natt J. Friday led a prayer for those affected. Friday knows Menyongar isn’t the only member of his church who could face deportation, but he can’t say for sure how many will. Many keep their immigration status secret. 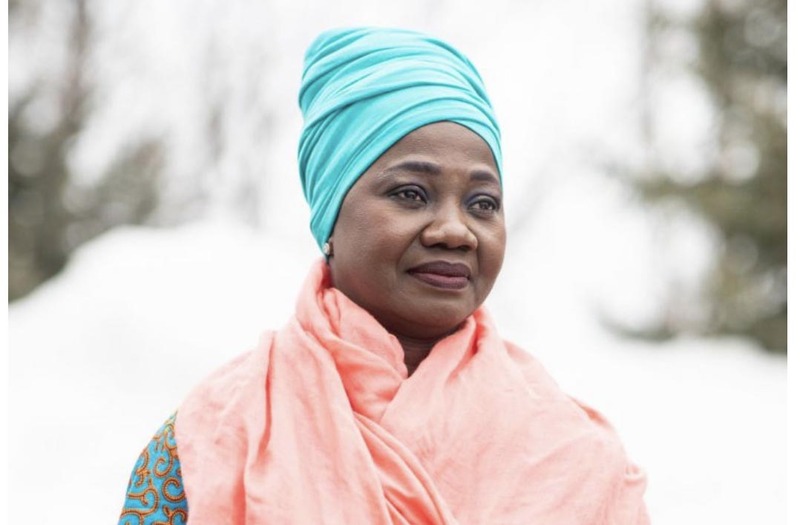 Liberian immigrants have taken prominent positions in Minneapolis and its suburbs, such as Brooklyn Center, which recently elected its first Liberian-born mayor. They moved in part for the job market — a shortage of nurses and other health-care workers drew many, like Menyongar, to work in hospitals and assisted-living facilities. Mary Tjosvold, who owns group homes for seniors and people with disabilities, employs more than 150 Liberians. Although she does not track how many of her employees are protected by DED, she said losing even a few workers would have wide ripple effects. An end to the policy also has economic implications abroad. Remittances sent from those working in the United States to their relatives in Liberia act as “a source of de facto foreign aid,” said Paul Wickham Schmidt, a former immigration judge and current adjunct professor at Georgetown Law School. Menyongar works a combined 60-plus hours each week at two nursing homes, and her paychecks support her 97-year-old mother and other relatives in Liberia. Schmidt said the idea that Liberians losing DED will self-deport is unrealistic. Menyongar strongly disagrees with that assessment, citing violent crime, poor health care and infrastructure, and a lack of jobs in explaining why she could not return to her country of birth. “The Liberia that I knew and grew up in is not the Liberia of today,” she said.